China isn't the only country the US has a rocky relationship with - Turkey is causing a few headaches for US leaders as well. The Eurasian country's president, Recep Tayyip Erdogan, announced on Tuesday that he would be calling for a boycott of all American electronics sold to the country's residents. "Every product that we buy in foreign currency from outside, we will produce them here and sell abroad," Erdogan said in a speech, according to The New York Times. "We will boycott the electronics products of the U.S."
This is certainly a bold statement on Erdogan's part, but it hasn't come entirely out of left field. Tensions between the US and Turkey have been steadily rising since American pastor Andrew Brunson was detained by Turkish officials on charges of terrorism and espionage. After that unfortunate event, both countries proceeded to impose hefty sanctions and tariffs on one another. At any rate, it's not clear how Erdogan plans to enforce this boycott if indeed he intends to enforce it at all. It could merely be a way for the foreign president to gather support for his regime among Turkish nationalists. 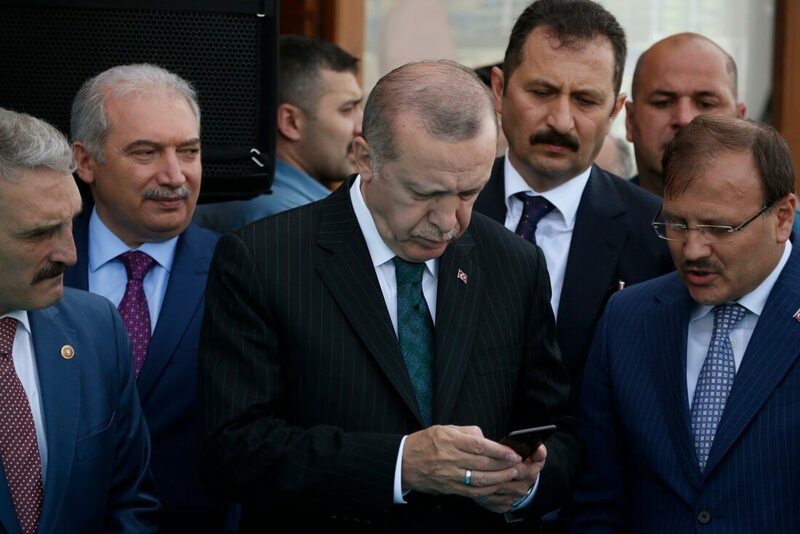 Though Erdogan may not intend to institute a firm ban on American-made electronics, he did note that there's plenty of alternatives for those who are willing to stop using the devices. "If they have the iPhone, there is Samsung," the Turkish president said.